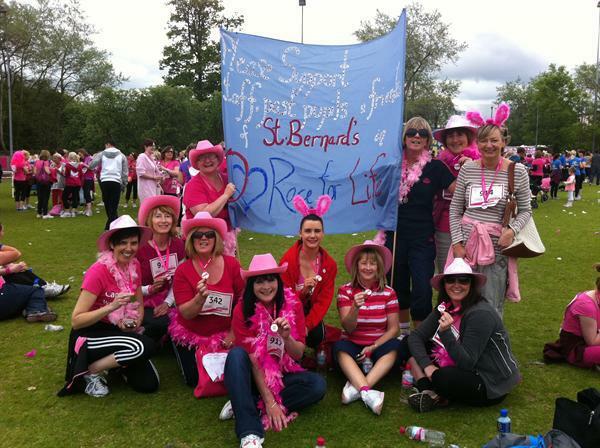 A wonderful day in Belfast.. and the Race For Life for Cancer Research. A sea of pink running , jogging and walking around the grounds od Stormont. Staff and a past pupil of St Bernard's did the Race today! Thanks to Michaela Sadlier for organising the event and thank you to everybody who took part. Finally a huge thanks to everbody who donated.A worthy cause!